The blog launched 2011, it's almost 8 years old now. A long time - and a lot for a blog. Usually, private social media projects last less than 5 years before being hired or falling asleep. Much has changed in recent years, and the basic conditions under which the blog was created no longer exist. 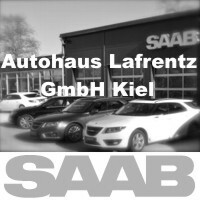 If 2011 was the pure survival of the Saab Automobile AB in the beginning, which we had set ourselves, then it was the continuation of the Trollhättan site. And maybe a comeback of the brand. It all broke up. At the latest, since the Chinese have dismantled and shipped part of the plant, it is clear that there will be no rebirth in Sweden in the near future. Phoenix from the ashes, that was wishful thinking and fantasy. More hoping and wanting, and it could have become a reality, Trollhättan would have found an investor like the Gothenburg brand. Reality is merciless, and after more than 7 years, the question is how to proceed. In the early summer 2018, the blog team agreed that we say goodbye to our readers at the end of the year. The daily battle for readers and for topics, the increasing effort with shrinking readership and budget, which wears everything down. The years have been good, it was fun, but it's good. That was the summer, and then our decision was firmly cemented. In principle, at least ... To the great astonishment read however at the end of the year 2018 still nearly 2.500 humans daily the blog - if an article appears. That's a lot for a site reporting a brand that no longer exists. And that in principle can no longer start with great sensations. 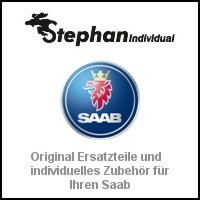 The small manufacturer from Trollhättan still has friends, and there are obviously people who like to read Saab. Meanwhile, Mark and I think that we want to hang on to it for another year. For the first time as an attempt, not as a promise. An attempt, because it is not clear, if we come up with interesting topics for 12 months. Also because it is not clear if we get another budget for 2019 together. And also because our automotive situation has changed. Mark is on the road professionally with the other Swedish brand. I will change, with increasing mileage, soon. Especially because I realized in the last few weeks that I do not want to "use up" Saab for the big kilometers of performance. Saab, for us both, from a certain date, this is hobby and preservation and preservation. Cars for leisure, sun, relaxed driving. 7 years after the end of the brand, and a step that has already taken several readers. We will ask readers for a blog donation from next week. We do this once a year, in the hope that our work will be rewarded and that we can secure the site for another 12 months. If we succeed in doing so, then we would also like Xnumx to join Saab Blog Mission with our readers, and use the months ahead to perhaps redistribute blog responsibility and rejuvenate the team. It is unclear whether we will succeed, but at least we find it worth a try. ← Yes, honestly, we are still here! 27 thoughts too "Saab Blog Mission 2019?" Please account number, I'm here. Would be a pity if this blog would disappear. Great work great stories and yes I am One of 2500 happy about any story. Thank you for your commitment to this cause. And I'm one of the 2.500 who read the blog and rummage around. For me, your "stories" are interesting, because I have NO Saab and currently I can not afford "incidentally" (but it would like soooooo). 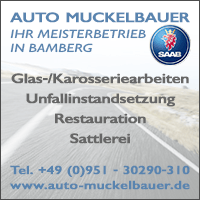 All Mitlesern a good accident-free ride, with and without SAAB in front of the door! As a regular reader, I thank you for your work and dedication. I drive since 1992 SAAB. 900, 9000, 9-5 and 9-3. Currently only Saabrios in pretty colors. I would be glad, if the blog still existed and would like to support your work very much. A SAAB is a SAAB is a SAAB! Also from my side a big thank you for the heartbeat written reports and stories. 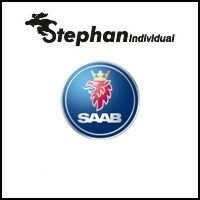 Your commitment keeps the Saab community together and lets the brand live on. 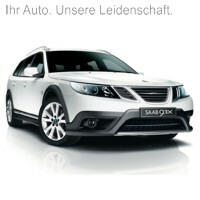 I check the blog regularly and look forward to all the information about Saab. I will gladly transfer my blog donation for your work next year. I can understand that, if you turn the key after almost 8 years and want to go. The perspectives are bad, or not there at all. It's just down the hill, not up anymore. To preserve and to keep from forgetting is the motto! For Tom, that might not be enough, he is still too young (I suppose) to be satisfied with that. I hope the blog keeps on going and the creative ideas stay with us. Because what would SAAB drive without a blog? I also find it more than appropriate to support the blog with donations / membership fees. Wait for the publication of the bank account. Greet the community. I am back with a donation and would be happy if it continues. 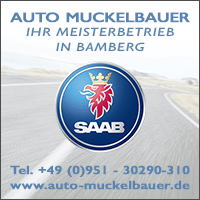 Where else does the Saabgemeinde get to hear about Saab? In the press, it is also less and less. Even the magazines that deal with classics increasingly forget Saab. I notice that my archive is only slowly updating. As already helps one or the other article from you both or other blog friends. Have already contributed to it several times. Please continue and thank you for the past years. The (2) donation is already on my desk. LG. from BA! I have already registered the views of the SC! An article that makes you sad and makes you think. Almost everything that does not maistream is the creek. In my life there are so many good things that have disappeared in the soge of the feeling of the whole world. The present arbitrariness is just sad. So I wish that it continues with the blog. All the best to the famous blog team! Tom and Mark, Haette almost got a hard stop when I read the first lines. But then came this liberation; it still goes on. What do we do without this blog, But congratulations with your decision because we understand how much work there is. And I'm determined to donate again so I can read about Saab and its Saabists almost every day. The number of subscribers also seems to go up. When I subscribed to 2 months ago, it was 1.075. Now it's 1.090. This corresponds to about 5,1% growth per year. Not bad. Also the view over the edge of the plate I find always exciting. In a reader's contribution, historical Lancias alongside 96 have been featured as part of their own fleet, and when Tom reported a Subaru experience, there were clear comments from SAAB drivers who apparently own at least one Subaru in addition to one or more SAABs. As more frequent views beyond the SAAB horizon make the creators of this blog enjoyable, keep them happy, and extend the life of this blog, please look as far and wide and where you want to go. The main thing is to continue with this great blog! I think the blog is great and read for several years. Technically posts like the air filter or this with the Koima compressor are absolutely top. I am also one of 2500 and I read the blog from Sweden. 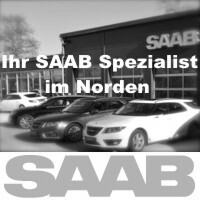 There are still SAAB fans and we like to read saabblog.net. How about a section for the "conservation" of older Saab - their minor repairs and special features to continue providing fresh content? 🙂 I know that is a lot of work. 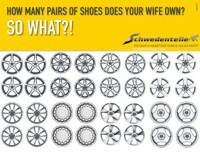 Maybe this thought has already been taken in the blog team? First of all thank you for always great contributions! Even as an "old Saab driver" is always something. I can quite guess your effort, but I would very much regret if you would einsteelen your activity ... ..
My financial contribution is already waiting for the announcement of the Kto.-number. 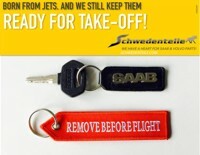 The beginning of 2011 was about the new beginning of Saab - independent !!! - later, unfortunately, for survival, and even later for what the stewards begin with the estate; At some point then came the sometimes stronger, sometimes weaker contractions of NEVS. 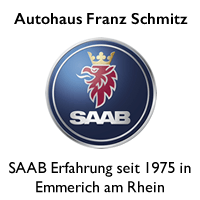 At first there were (for today's conditions) many Saab and a large community, saabsunited called as a lighthouse, in addition to many other German and englichsprachigen forums and blogs. As you, Tom, already stated in the blog: 10 years after the last volume vintage and almost 7 years after the last Saab new car, it is "lonely", the web presence is getting smaller. 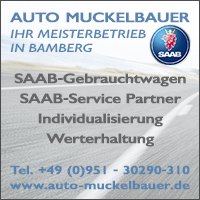 But as the number of active websites decreases, so does the importance of saabblog.net for the enthusiastic, active Saab riders. 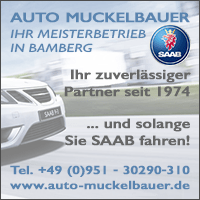 As a regular, beloved companion, who illuminates other aspects of Saab driving besides and after the driving experience, as an active "lighthouse". Not that you misunderstand me: life is too short to deal with things you do not like and everything has its time! Can I just join the commentators and from my point of view add something to the development of NEVS please illuminate in any case regularly. Perhaps in the coming months there will be news that you would never have expected - for example small-batch production in Trollhättan or interesting new developments of electric vehicles packed in a beautiful design. The origin would have something to do with SAAB automobiles - regardless of this, one should not lose sight of the generally more rapid development towards e-mobility in the meantime. Here, too, looks are worthwhile beyond the horizon. 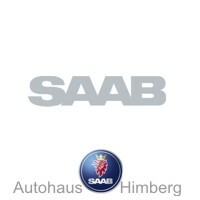 How about a globalization of Saab blogs where we link together. Today I was buying a bed for the granddaughter. 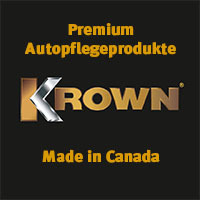 In stock, "I hope to get everything ons car", grins. While inviting, he came to the smoking break after. Please continue! Your posts are the highlights in my inboxes. Of course, I also participate (again) with a sum of money. The considerations to consider a Saab only as an exhibit and no longer as a "commercial vehicle" shock me a lot! I enjoy driving and I do not want anything else! And my 9-5 station wagon is also well prepared for the next 100.000 km - at home on long journeys (not in the garage)! Next year, the announcement of GM Saab to close. 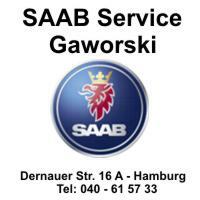 At that time there were many support Saab Convois worldwide. Maybe the memory of it is worth a small series of articles? A few pictures, etc. Can I contribute too.